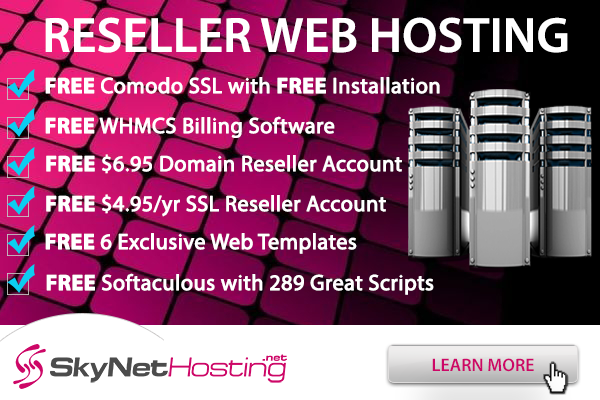 Are you looking for a buyer with the best deal for your web hosting company? Well at SkyNetHosting we acquire web hosting companies, resellers and internet service providers. Despite the annual revenue and size of your company we consider every deal equally important. As a company with a reputation of over 9 years in acquiring web hosting companies we guarantee you, our customers the best. Our intention is not only sole development but the development of all companies under us. Every company is unique in their own way as their processes and the customer base is different. Every requirement brought upon us is looked at and responded to the best of our ability. If you are going through this article with the intension of selling your web hosting company, we recommend you to consider the following procedure which will result in a successful business deal. By this we mean, gather all information pertaining to your business and assets. Collect due payments, settle them and suspend accounts of ones who don’t pay. Remove all obsolete and inaccurate data from your web site and keep it up-to-date in both content and design. Do a careful examination on your clients, services and prepare a record. Document all details a new owner will need to know. A calculation can be done to determine a selling price for your company based on the revenue of 8 to 12 months and the value of its assets. However there are other factors that can affect the selling price, for instance payment regularity of your customers and the ones stated under “Emphasize on important aspects of your business”. To get a better understanding about the selling price it is best to compare and contrast the prices of other web hosting companies which are on sale. Learn whether the decided selling price tallies with the company’s value in the eyes of the customer. Keep in mind to describe about your ideal buyer in the advertisement and also most importantly, make sure to advertise only where the name of the company is not needed. Get promising buyers to sign a Non- Disclosure- Agreement first and then make arrangements to provide them with the company name. If you mention the name of the company in the advertisement beforehand, it can be alarming news to your existing customers and eventually you will lose them even before they get to have any experience with the new owner what so ever. Assess promising buyers and it is best to select a buyer with an attitude alike. By doing so, possibility of your customers moving to a different host can be prevented. If your company is large, it is recommended to employ a lawyer or an account to assist you when necessary. The best way for your new owner to get a good understanding of how the business used to run is by having you by their side. Many buyers are not reluctant to do so and we are no exception. It is a common thing to sign a non-compete agreement with the previous owner for a years’ time period to ensure the previous owner will not offer any of their services to the company customers. The terms and conditions of the agreement may differ but the primary objective of this agreement is to prevent the former owner from offering services to company customers what so ever. Kimberly Ashton is an employee at SkyNetHosting.Net.Inc and mainly concentrates on web designing and technical blogging. She is interested in SEO social media and all things web related. Her focus is on making absolute beginners comfortable with different web related methodologies and to help them grasp the basics of web designing easily. How to improve Google Search Engine Rankings with Twitter? © 2019 SkyNet Blog — All Rights Reserved.